Editorial : Why Najam Sehti? PML-N has confirmed PPP nominated Najam Sethi , as their final pick for the CareTaker CM of Punjab. In this very crucial time, when the fate of the nation is to be decided in the up-coming elections, the Punjab government has again proven to be a lame opposition, hand in gloves with the Zardari regime, playing another game of underhand deals, oblivious to the democratic rights of the people who mandated them. Why Najam Sehti, is the question we ask? Known for his Marxist ideology and arrested in 1999 on charges of trying to destabilize the country, raises the eyebrows of sensible people of Pakistan. June, 1,1999, authorities charged Sethi with “Condemnation of the Creation of the State and Advocacy of Abolition of its Sovereignty” and “Promoting Enmity Between Different Groups”. But as usual the courts ruled out the charges saying the government had provided insufficient evidence to justify Sethi’s detention. Opinion: Did Jinnah Wrong Us In Making Pakistan? Ayesha Jalal in her book ‘The Sole Spokesman’, first published in 1985, has presented a sharp scrutiny of the personality of the Quaid, Muhammad Ali Jinnah; alleging him to have made such political decisions that suited his personal ambition of making Pakistan, while in doing so, he had deliberately set aside the interests of the Muslims who were not to be a part of the Pakistan-to-be. 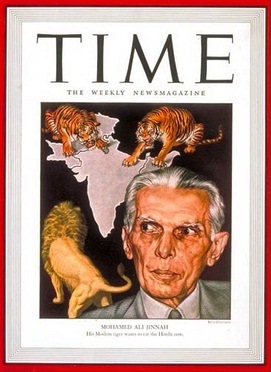 According to her, Jinnah claimed to be the sole spokesman of all Indian Muslims, not only in provinces where they were in a majority but also in provinces where only a minority was represented; and that the political geography of the subcontinent guaranteed that there would always be as many Muslims outside a specifically Muslim state as inside it. She furthers her argument by counting the many merits that would come with a Pakistan inside a larger Hindustan, pointing out that: there was to be no union legislature, and any question at the center on which the two federal units failed to agree would be referred back to their respective group legislatures; agreement would not be imposed by central dictate, but by agreement between two federated governments; the Muslim-majority areas would have complete control over all their affairs except those specifically given to the center; and at the center ‘they would meet the Hindus on a level where it was States which counted and not the number of individuals in them. Anti-Islam propaganda under the guise of free speech is not a new thing anymore. There are hundreds of websites which publish anti Islam material in an attempt to malign the teachings of Islam. By the time our religious scholars and people adapted to the World Wide Web, these elements found a novel battleground in the form of social networking websites. Very soon this highly interactive and popular forum came teaming with misinformation. Thanks to the growing extremism and intolerance in our society incidents like ‘Badami Bagh’ have always provided a fodder for these Anti-Islamic elements. These days news about a meeting between Mr Nawaz Sharif and Gen (rtd) Pervez Musharaf in Saudi Arabia has hit electronic and social media. It is not blankly denied by either party. 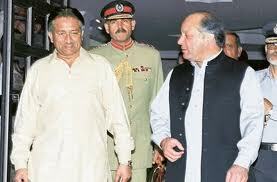 Speaking on a TV program, Maj. Gen (rtd) Rashed Qureshi and Ahmad Raza Kasuri had neither denied nor accepted it. As NS and PM both visited Saudi Arbia in recent months the observers presume a meeting must have taken place. They support their arguments primarily on the way Pervez Musharaf spoke in his last press conference about his return to Pakistan and the way his body language reflected his decision which was contrary to similar announcements previously. American perspective; Zardari who is known for pulling out gun from his hip at eleventh hour, shot the Americans in their back when he agreed to hand over Gwadar to Chinese and let Pak-Iran gas pipeline deal go through. Americans would do anything to kill these deals or at least put a break to them. Coming eighteen months are crucial for them when they leave Afghanistan. They don’t want to see Chinese holding the jugular vein of the world economy at Gwadar or let an under-sanctioned Iran supply gas to Pakistan. Once again, Pakistan is being sacrificed at the altar of elections that don’t dispense democracy but ‘predatorocracy’ in which the system leaves the oppressed no choice but to elect their oppressors, the prey its predator. That’s the long and short of it. Now this predatory system is at flashpoint. Once again the danger is that it could bring the country to flashpoint too, just as it did after the 1970 elections. Thus we are trapped between two evils – hold elections and we have had it; don’t hold elections and we have had it. The people have to choose between the rock of one predatory party and the hard place of another. Elections can cause chaos; delay anarchy. We are in a difficulty, to put it mildly. Wiseacres say that people get the governments they deserve. A genius proclaimed on TV that until the people improve and correct themselves their leadership would not improve either. How, in a country where the lowest priority is given to the human condition beyond politicians uttering syrupy statements that they don’t mean and forget the moment they are elected. It makes one want to puke. How, where a pittance is spent on education, where government schools are housed in chicken farms without clean drinking water or toilets, where headmistress force girl students to massage their legs and feet and if they don’t do it properly they are beaten on their hands with a big fat baton? How when the ‘education’ that is imparted is outdated and dysfunctional and the ‘teachers’ themselves need education. This while a chief minister doles out cheap laptops not to educate children but to get votes. It’s all about votes, votes and more votes by creating optics, optics and more meaningless optics. It’s pathetic many times over.